Satisfy your appetite for lunch or dinner at the hotel's restaurant, or stay in and take advantage of the room service (during limited hours). Buffet breakfasts are available daily from 7 AM to 10 AM for a fee. Make yourself at home in one of the 89 individually decorated guestrooms, featuring free minibar items and flat-screen televisions. Your Tempur-Pedic bed comes with down comforters and Egyptian cotton sheets. Complimentary wireless Internet access keeps you connected, and satellite programming is available for your entertainment. Private bathrooms have deep soaking bathtubs and rainfall showerheads. 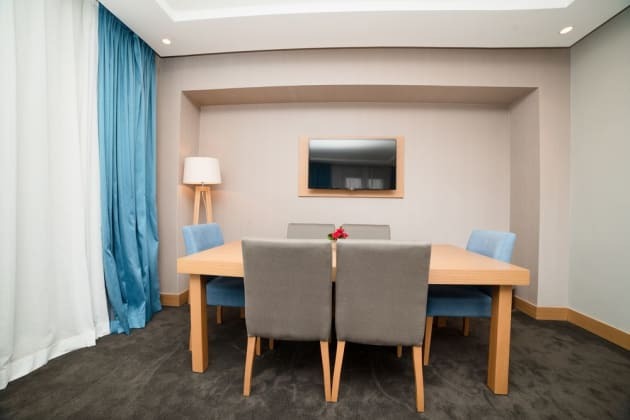 Located in the heart of the imperial city, close to embassies and ministries, this hotel is perfect for exploring the typical quarters and monuments of Rabat, thus ensuring a unique and memorable experience for its guests. With its elegant yet understated facade, the Diwan, which is a member of the MGallery Collection, combines modern features and Moroccan touches to create a refined, chic and urban stay. The Diwan spirit is based on thoughtfulness, style and esthetic appeal. 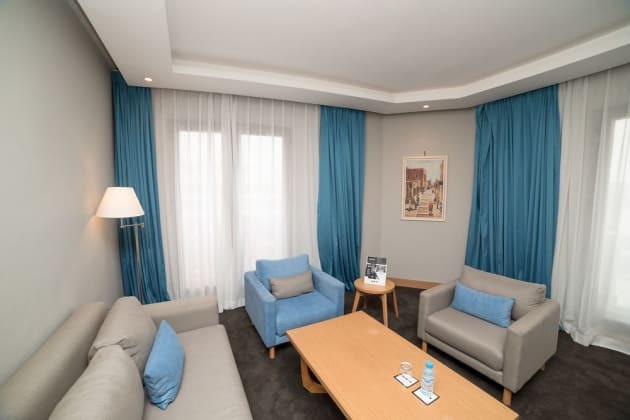 Located in the center of Rabat, the hotel is located just on a 10-minute walk from the city centre and 25 km away from the Rabat Sale Airport. It has 100 rooms including suites. 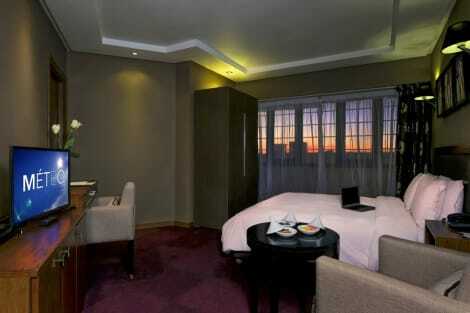 The air-conditioned rooms are well equipped with TV satellite, mini bar and a direct phone. The comfortable rooms are en suite and come with a separate toilet and a hairdryer. Dining options include two restaurants. The International Restaurant Floralia offers Moroccan and International food. In a convivial and luminous framework, from lunch to diner according to guest's desires with a rich and varied “Carte”. The Orangerie Gastronomic restaurant “Ala carte”, has a capacity of 50 seats for your businesses lunches or dinners in a typical environment. The Restaurant proposes an international and Moroccan food. 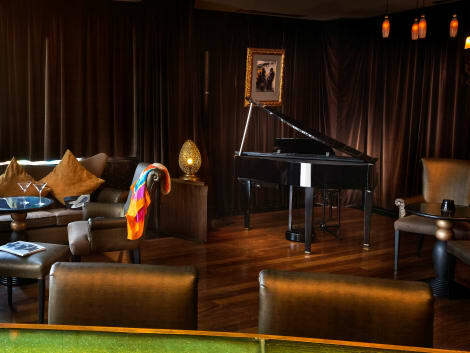 The Piano BAR L'ACAJOU will quickly become a general headquarter to appreciate cocktails on airs of music.